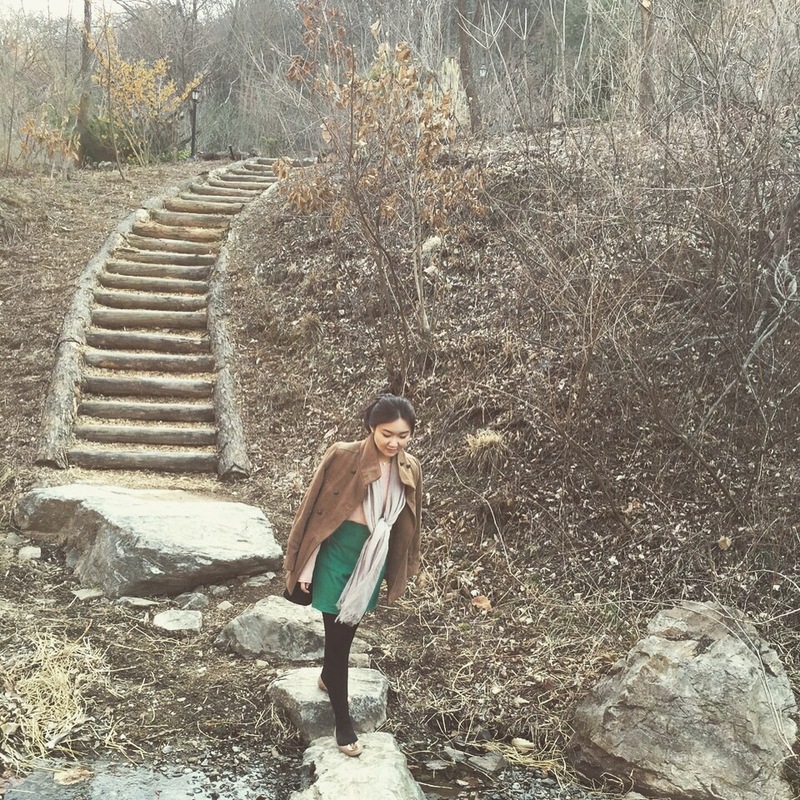 I bet you all heard of Jo In Sung & Song Hye Kyo drama titled ‘That Winter, The Wind Blows’, the scene was taken in Jade Garden Natural Arboretum. This garden was built with the theme ‘Small European in the forest’. There were also other drama shooting scene took place here, such as ‘Full House 2’ and ‘Love Rain’. 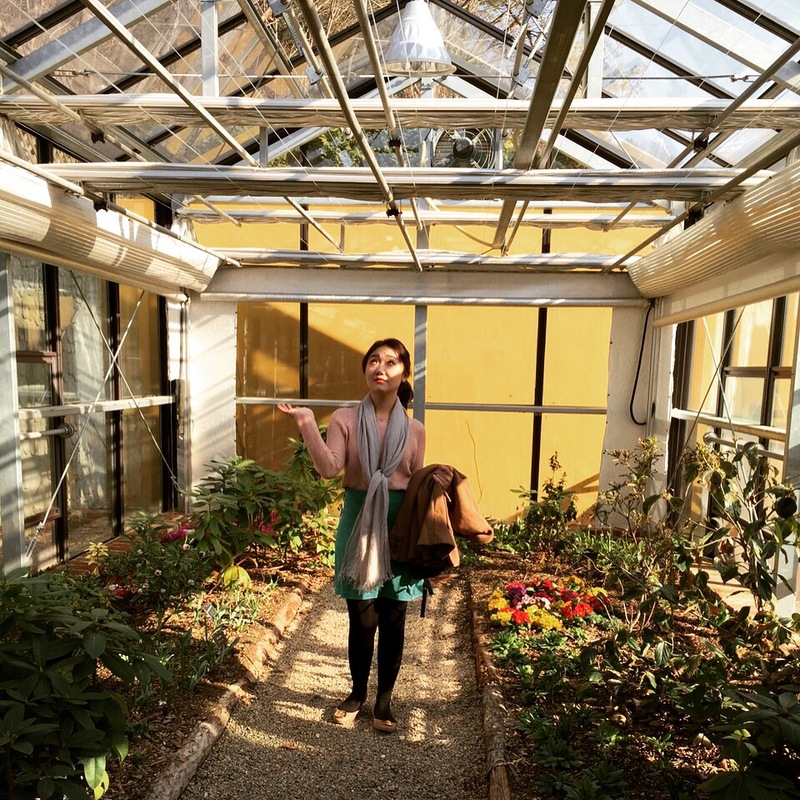 I visited the garden in March, winter just ended, and Spring just came, so there were still no flowers could be seen in here except the one that grows in the Green House. However, there is a beauty to every kind of view, so I still managed to take some interesting pictures. I advice you to check on the website if you plan to come to Jade Garden, click here. 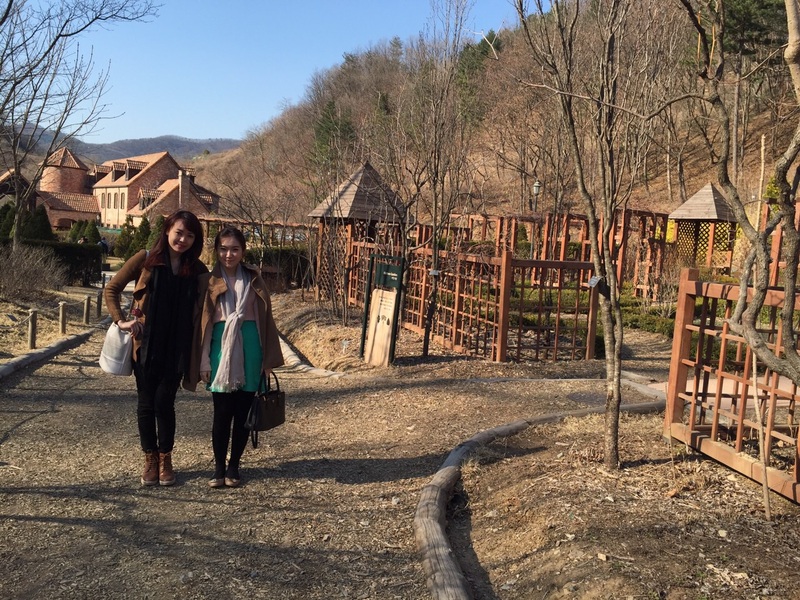 We both had this fun in Spring, March 2015, Jade Garden, South Korea.